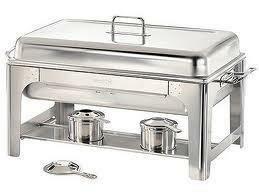 Stainless Silver 8 quart chafing dish!! Perfect for keeping any cooked food warm for your event! !